All of us sometimes buy on impulse – that pair of shoes beckoning from behind the display case or new goggles that will add to your fashion statement. Problems arise when the purchases shift from impulsive to compulsive. You are no longer a normal shopper but a shopaholic suffering from compulsive buying disorder, characterized as an impulse disorder, just as binge eating, gambling or substance abuse, which can wreak havoc in your life. Shopaholics bring a whirlwind of emotional and financial distress to their life by simply overspending. They are so addicted to shopping that they fail to see the grim consequences of their excessive shopping and jeopardize their life. Shopping addiction is not restricted to any gender, nationality or race. It’s a universal problem and dangerous one. Before it gets out of control, shopping addiction must be diagnosed at right time to get rid of it. 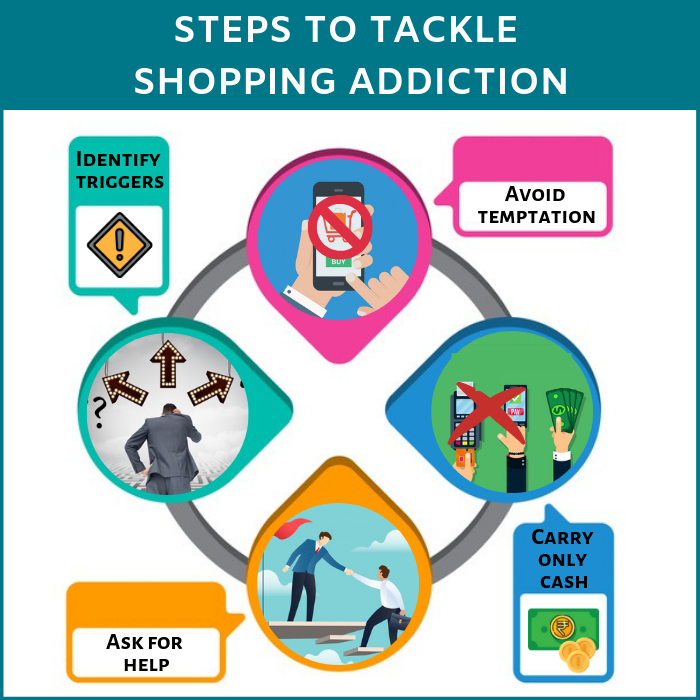 There are many negative consequences of shopping addiction that can be emotional, financial, and physical and otherwise making the addict’s life hell. Lower self-esteem, guilt feeling, piles of debts, constant anxiety are the effects of shopping addiction. A shopaholic finds himself or herself always in financial mess due to overspending. And in many cases, loss of relationship is reported to occur due to compulsive buying disorder. The way to deal with a problem starts with first admitting it. Don’t fool yourself with bags of ready made lies or stay in denial when consequences of your addiction are quite obvious to others. Once you admit that you are shopaholic, you will be able to get to the roots of problem and can find steps to deal with it. Whenever you have spare time use it for your hobby, learning a new language, reading a book, listening to music, or jogging. Just keep yourself occupied with any activity that makes you happy rather than going for shopping. 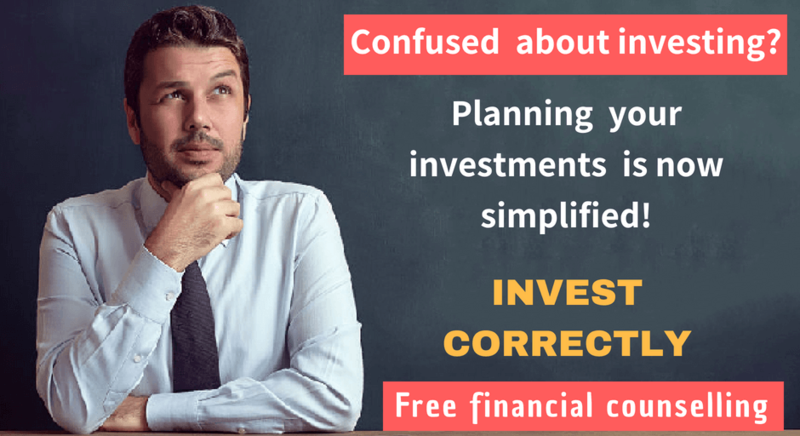 Indentify those issues that push you to barge into a mall and splurge – be it an argument with your spouse, frustration at your workplace or feeling lonely. When you are overcome with these feelings, fight the urge to shopping and look for some healthier way to work it out. Simply stay away from places where you spend your money. Don’t visit any malls, stores, or boutiques. If you have a weakness for online shopping, fight the urge to visit your favourite shopping sites and if possible stay offline. Cut up your credit card immediately. No chequebook or debit card for shopping. Sounds inconvenient? But to curb compulsive spending, you need to make sacrifices. Always carry enough cash to purchase things that are on your list. This will save you from impulse buying. Shopaholics generally are not aware of how much they spend; they are just oblivious of their spending. So they overspend. Once you start keeping a track of every rupee you spend, certain patterns you will notice and then you can act on them. With the above mentioned steps you can break free from compulsive shopping. But it is easier said than done. What you need is a resolve that you are going to overcome the problem. After you are off the shopping addiction, you’ll be a different person: free and happy in real sense. And your will be better off financially. 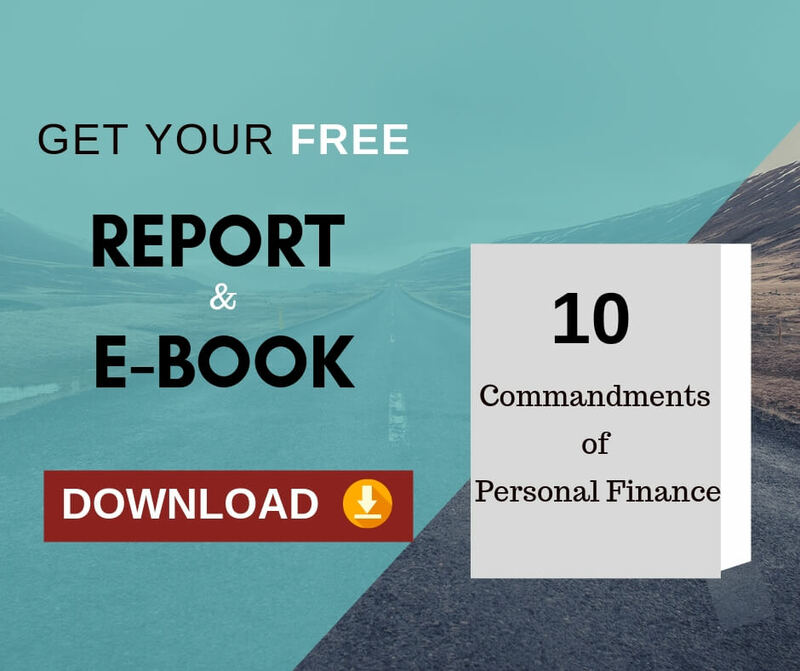 if you want to be completely financially smart, then you need to begin with an end in mind. That is you should decide in the beginning itself, what are all the financial goals, you need to achieve at the end.